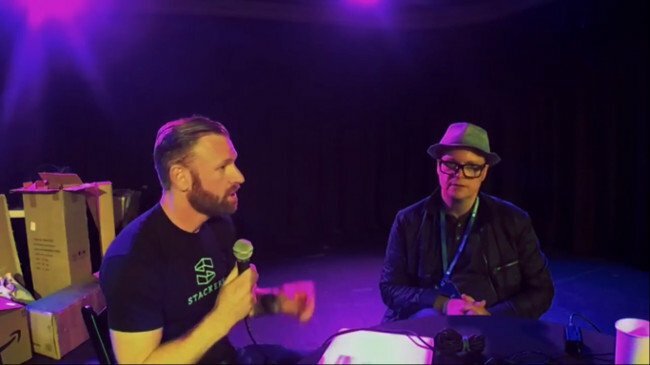 On this newest episode of The New Stack Makers podcast, TNS founder Alex Williams is joined by Stackery CEO Nate Taggart, at ServerlessConf San Francisco, to discuss the makings of Stackery, and how it has standardized on top of the AWS Serverless Application Model to the benefit of both its developers and enterprise customers. Prior to making the move to standardize on AWS SAM, Stackery used a tool known as AWS Cloud Formation in its stack. “Amazon realized that because Cloud Formation was so powerful, that it was also very intimidating. So they released AWS SAM to focus on three common serverless patterns: Reading an API endpoint, one is creating a function on Lambda, and the other is to create a database, which they call a table. Actually a DynamoDB table. So SAM gives you, instead of having to configure all of the settings for all of your services, it gives you a nice on-ramp into serverless and into infrastructure-as-code,” said Taggart. Taggart went on to explore the ways in which AWS SAM is built for AWS, adding that he hopes to see the ecosystem and community frameworks have a place as well. “It’s nice to be cloud agnostic, but the reality is, we want our workload on Amazon. We recognize that it’s a trend. We’re not fighting, we’re aligning,” Taggart said, noting that Stackery had both its data and its teams working on AWS, which brought Stackery’s developers familiarity and competency within the AWS suite of serverless technologies and offerings when working at scale. 2:25: What was it like before you were using the AWS Serverless Application Model (AWS SAM), and what is the correlation between the AWS API gateway? 5:21: With SAM, what patterns does it follow that make it distinctive? 8:31: How are you using AWS SAM internally at Stackery? 14:12: Historical technology adoption and universal platforms for serverless. 17:33: How do you see abstractions being built into code opening up? Stackery is a sponsor of The New Stack. The post Stackery CEO on the AWS Serverless Application Model appeared first on The New Stack.